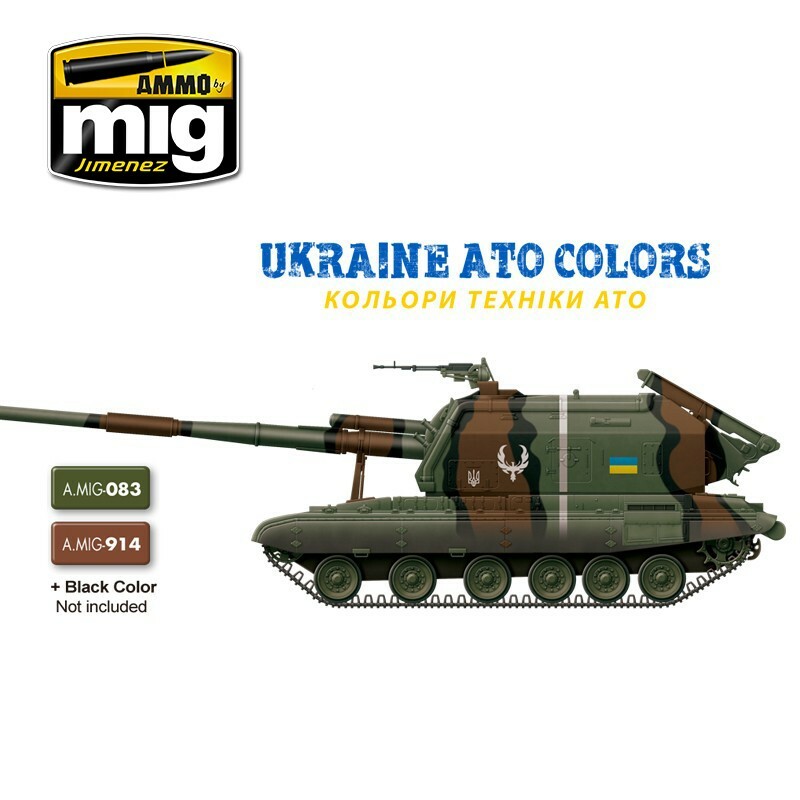 Acrylics colors for Ukraine ATO vehicles (6 x 17ml). The war in eastern Ukraine or "Anti Terrorist Operation ATO" of 2014 and 2016 has become one of the most popular worldwide modeling issues. 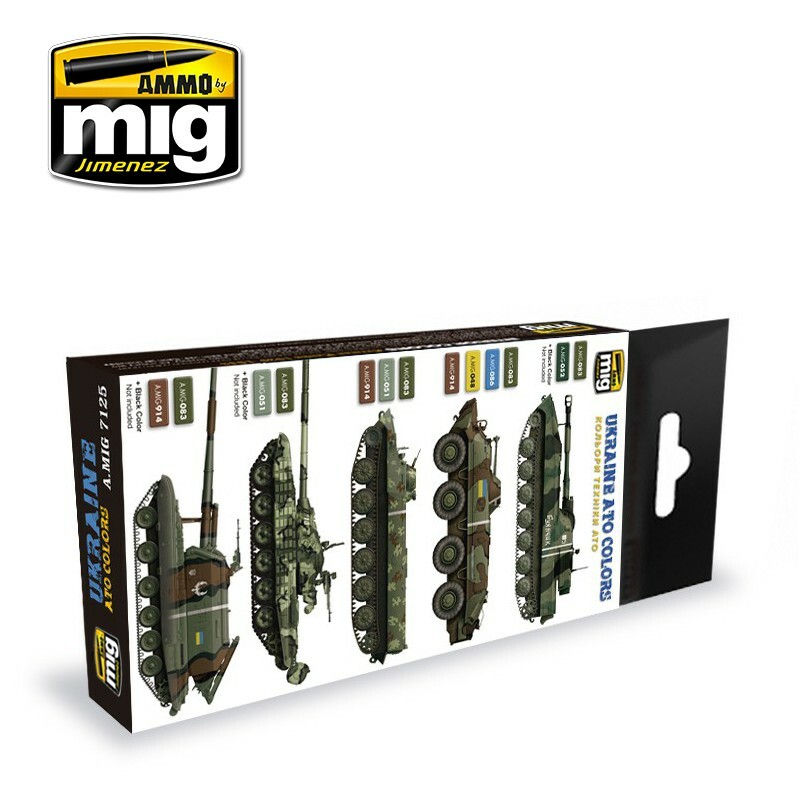 The large amount of photos and information about the vehicles that are participating here has made many modelers choose this topic. 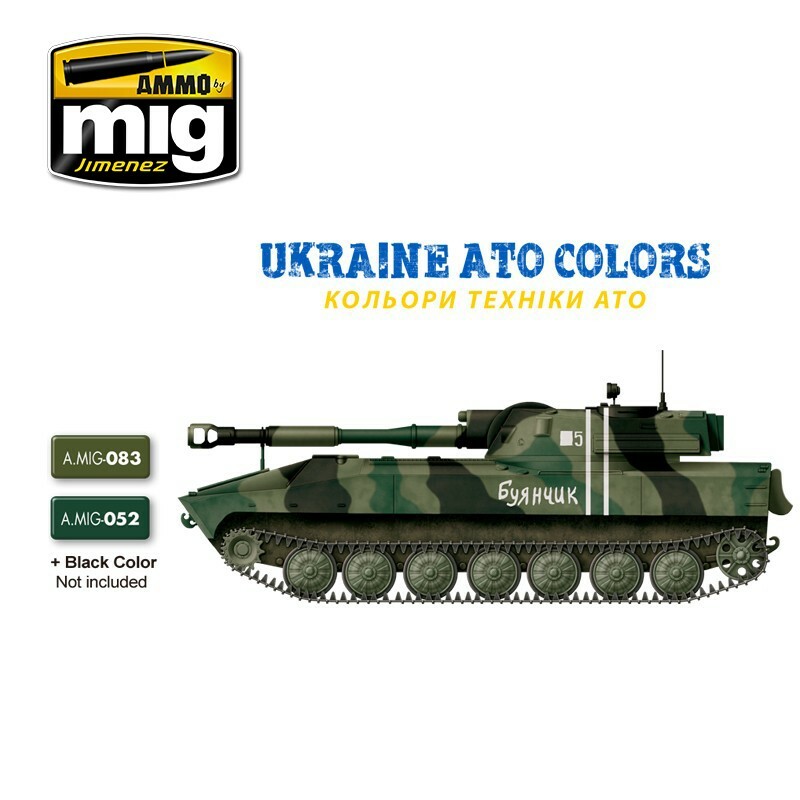 The many color systems of all vehicles used there are indeed complex and multitudes of standardized colors are mixed with others improvised on the battlefield. 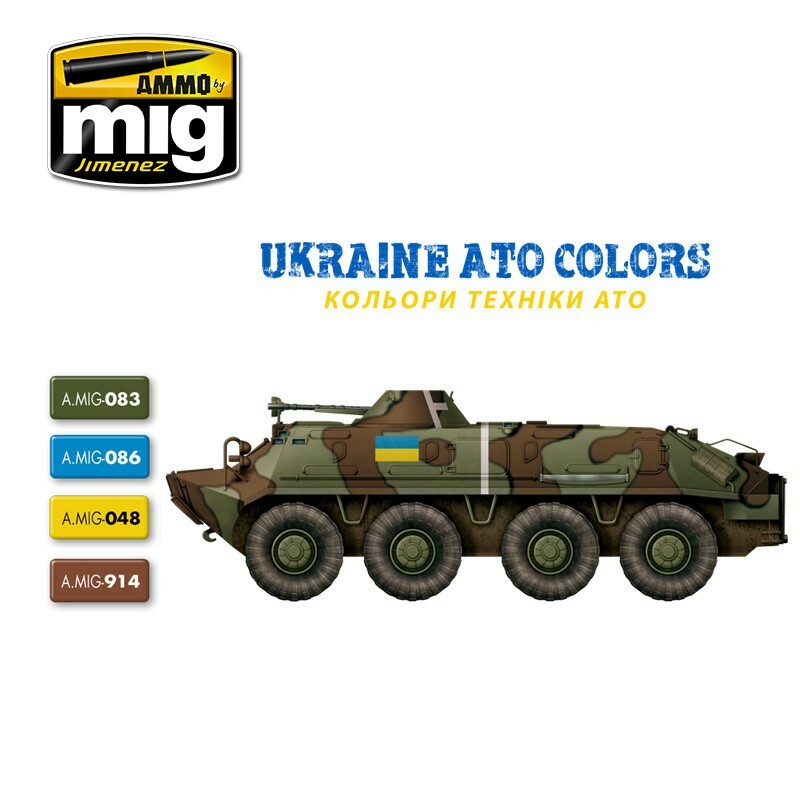 This set brings together a small selection of the most common colors used on combat vehicles, excluding the many colors used only on maneuvers or in pre-war times. 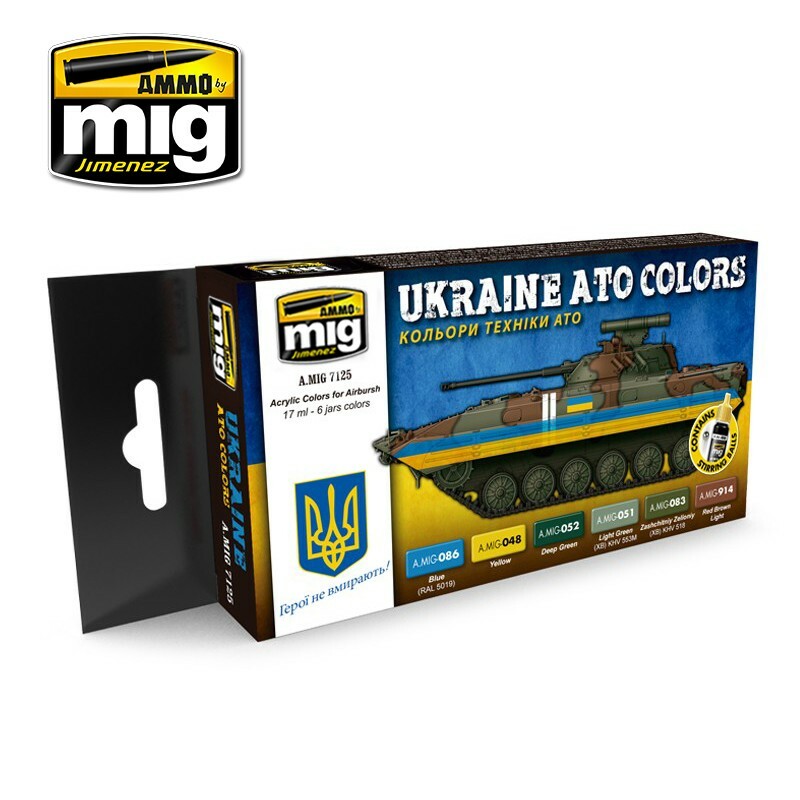 Although many Ukrainians use official colors of Russian origin which can be found in our set A.MIG 7109 MODERN RUSSIAN SET COLORS, the colors featured here are specific colors of Ukraine.